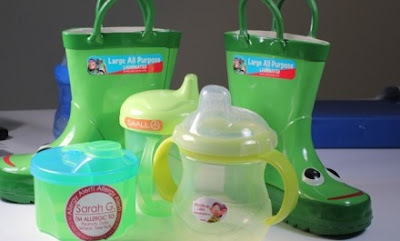 Pgh Momtourage: Get your labels + save 20%! Get your labels + save 20%! So your kids never lose stuff, right? (Said no mom ever.) As my kids progress into school years I shudder to think how many gloves, hats, and who knows what I else I will be replacing over and over! So I try to be as proactive as I can with labels. I have worked with Label Daddy several times over the past few years and I'll tell you, I love these labels! We have used them on water bottles, sweatshirts, baseball gloves + much more. They stick on through washing machines, dishwashers, kid wear & tear and hold up extremely well. 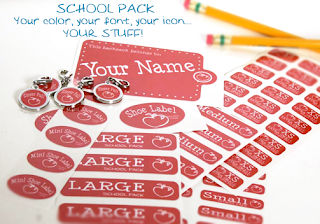 So just in time for school, you can save 20% Label Daddy labels! Label Daddy is the number one solution for labeling your belongings! Remember to label all clothing, sports equipment, electronics, and other personal belongings your kids bring to school, camp, sports leagues, day care, vacation, and other places. Label Daddy labels keep them from getting lost or mixed up with others. These labels are great for adults too! -- Put them on your sunglass/eyeglass case, phone, camera, sports equipment, tablet, e-reader, hats, clothing, and more. These labels are super durable peel-and-stick washable labels -- they're washer/dryer safe, microwave safe, dishwasher safe and UV resistant. Label Daddy labels are also fun and attractive. You design your own labels! Pick from tons of colors, sizes and logos, including Disney and Marvel characters, MLB, NBA, and NHL team logos, other sport and fun logos, and more. Their exclusive laminated coating gives labels an extra layer of protection and is a must for camp. These labels are made in the USA and shipped directly to you worldwide. So go here to grab your 20% savings on your entire Label Daddy order - this is the best discount available anywhere! Use code USFAMILY20 at checkout.